These stunning Sara Miller stud earrings feature 3 leaves that form a small cluster. 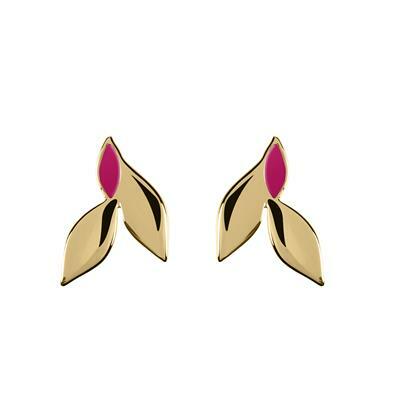 One of the leaves are pink enamel which adds a pop of colour to the earrings and gives them a feminine look. Wear these gorgeous stud earrings with any outfit to add glamour and style!